A charity which provides long term support for homeless families in North Staffordshire is set to benefit from Christmas festivities at Lichfield Cathedral. The Gingerbread Centre has been chosen by the Church of England Diocese of Lichfield to receive gifts left by visitors to the cathedral. The presents will be given to three charities including the Gingerbread Centre, Stoke-on-Trent. 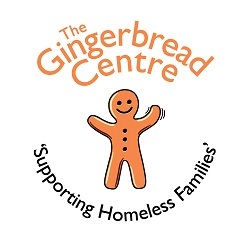 Gingerbread has accommodation units in Hanley and Normacot, giving long-term support to pregnant, homeless teenagers and homeless families. Each year, Lichfield Cathedral opens its doors to shoppers in the run up Christmas and asks them to leave a gift suitable for children from birth to the age of 18. Special services for shoppers will be held on Saturday, 17 December. “It is the third year that we have benefited from the cathedral’s Christmas shoppers’ service and it’s a fantastic gesture,” said Gingerbread Centre Chief Executive, Wendy Hocking. “Many of the families we support will have very little this Christmas and these gifts will make a big difference to them. Shoppers’ Carol Services will be held at 12 noon, 2pm and 4pm. Shoppers are urged to pick up an extra gift and then take a break to enjoy carols in the cathedral. The Pathway Project, Lichfield, and the Teenage Cancer Trust, will benefit from donations alongside the Gingerbread Centre. If people cannot attend a service, but want to donate a gift, staff at the cathedral say they can be left at the Chapter Office, 1a, the Close, Lichfield, on Mondays to Fridays between 9am and 5pm.